Take a Caribbean cruise and experience powder-sand beaches, dazzling blue waters and palm trees that seem to sway to a calypso beat… As holiday destinations go, the Caribbean is about as intoxicating as the local rum. As for the beaches, they don’t come any better. Relax on your Caribbean cruise and turn gloriously golden on stunning white sands then take a leisurely dip in warm turquoise waters. And if you’re in search of adventure on your Caribbean cruise, you don’t have to look far. Go swimming with stingrays in stunning Grand Cayman or race an America’s Cup yacht in the sun-soaked Bahamas. Explore spectacular Mayan Ruins in Cozumel or take a hike through Curaçao’s Christoffel National Park. We offer many different cruise itineraries and there is something for everyone. Whether you are planning a quick 4 day cruise or a longer Caribbean adventure we can help you. We can also tailormake your cruise to your exact requirements, perhaps you would like to add a few days at the beginning of your cruise to enjoy the theme parks or to discover the delights of your destination port or perhaps you would like to combine two cruises to create your perfect itinerary - speak to our Cruise Specialists for expert advise and they will create the perfect itinerary for you. 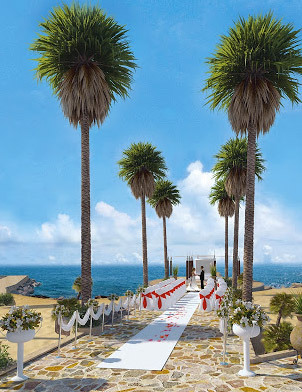 Here is a sample itinerary that is very popular with wedding couples with a party of wedding guests with varying budgets, it combines two 8 day cruises and offers wedding guests the choice of taking a shorter 8 day cruise or staying for the full 16 day duration.